Universal revenues hit $6.4bn in 2017. That’s just under $18m per day. 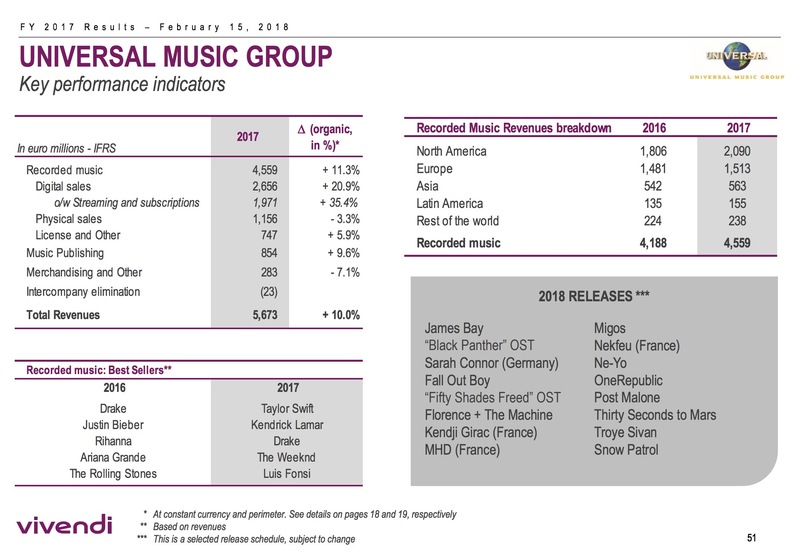 Universal Music Group turned over an average of $17.5m per day in 2017 – as the company’s annual sales hit record highs by topping $6bn. 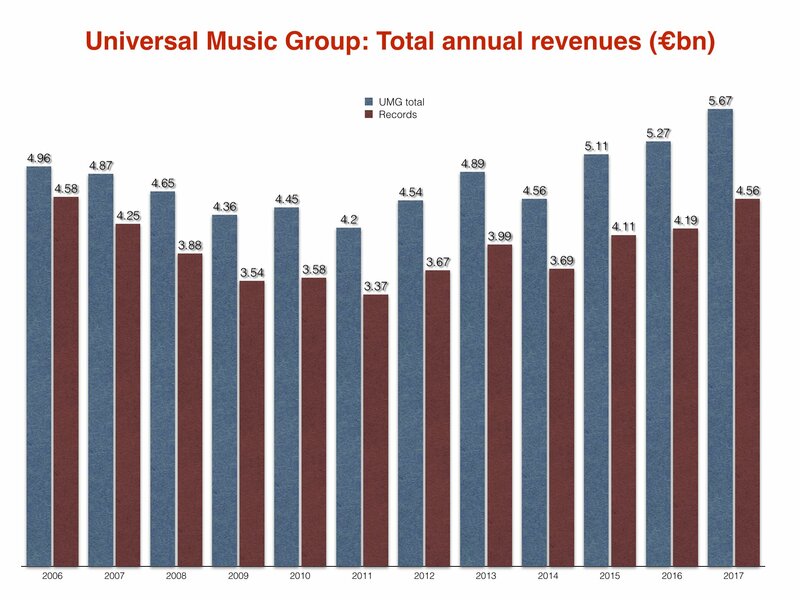 According to new annual results posted by Vivendi, total revenues at UMG – including recorded music, publishing and other activities – rose 10% at constant currency/perimeter last year to €5.67bn ($6.4bn). Within that figure, recorded music sales grew by 11.3%, reaching €4.56bn ($5.1bn) in the Jan-Dec period. This growth was propelled forward by recorded music streaming revenues, which totalled €1.97bn ($2.2bn) in 2017. That was up 35.4% year-on-year – despite the major striking a licensing deal with Spotify in 2017 which saw a small reduction in the margin it took from every dollar spent on the service. 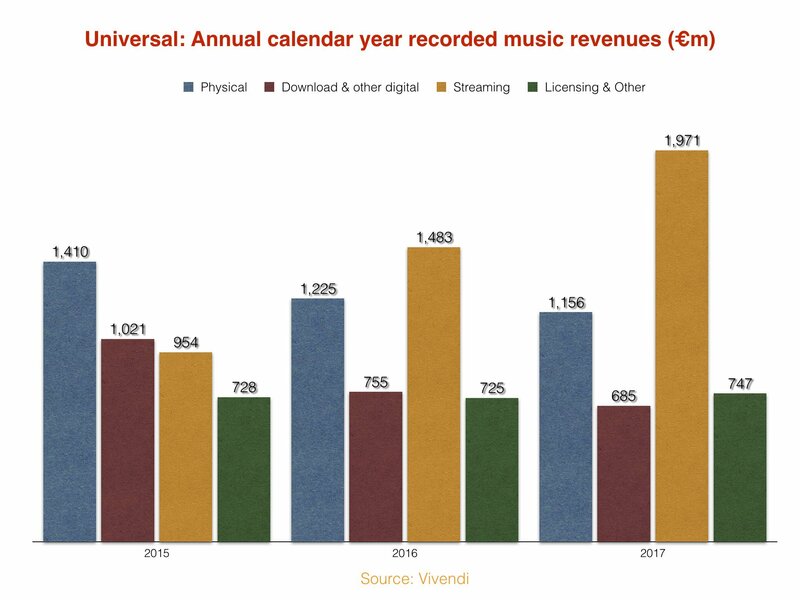 UMG’s streaming figure means that its labels turned over around $186m every month, $40m every week and $6m every day from the format alone. Sales from physical formats fell 3.3% to €1.16bn ($1.3bn), while download revenues sank to €685m ($774m). 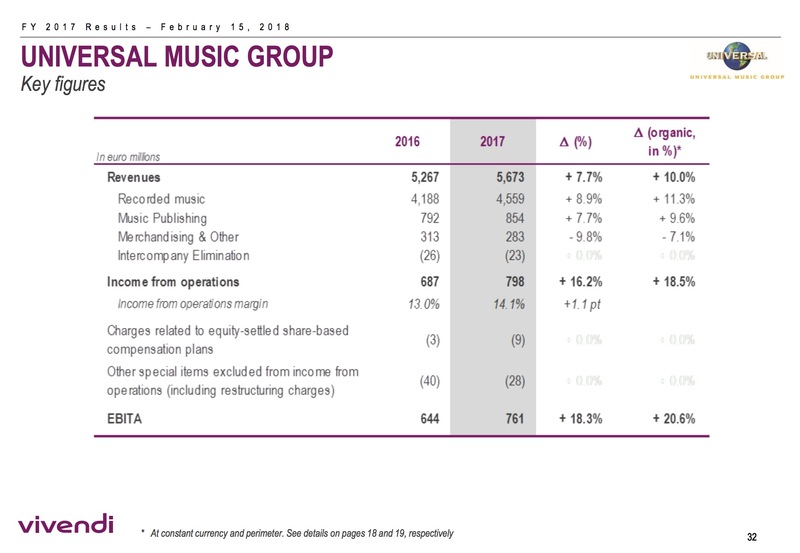 Revenues at Universal Music Publishing Group grew 9.6% year-on-year to €854m ($965m). The profitability of UMG is becoming an ever-more pored over statistic – especially due to rumors in the market that the company may ‘spin out’ of parent Vivendi at some stage as a standalone entity on the stock market. 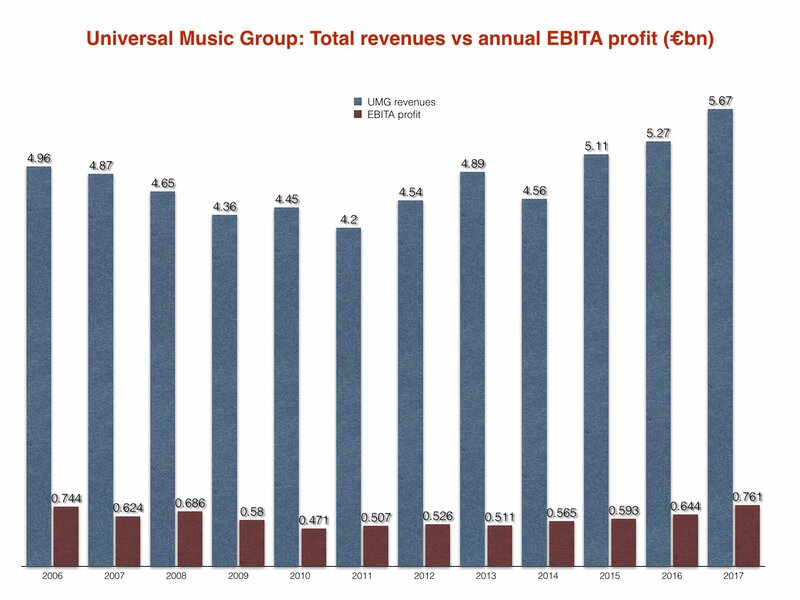 2017’s results saw UMG’s key profitability measure, EBITA (earnings before interest, taxes and amortization) reach €761m ($860m). That was up 20.6% year-on-year at constant currency/perimeter – and the highest annual EBITA profit figure posted under Vivendi’s ownership. Universal leader Sir Lucian Grainge [pictured] became UMG CEO in 2010, and was promoted to Chairman and CEO in 2011.